You can be so experimental or innovative with twaking parameters in depth. Smart and minimal controls allows you to create evolved, catchy and txtured sounds very easily. 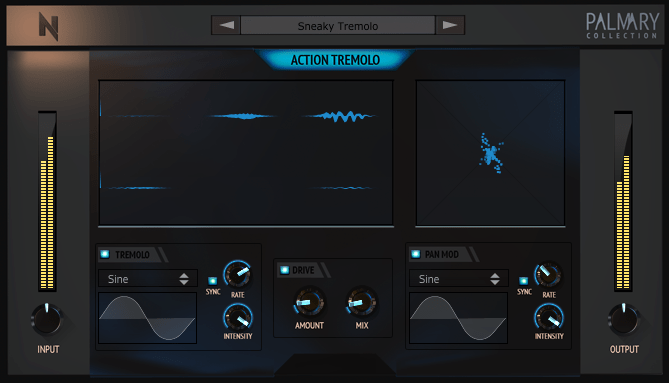 Stereo Enhancement, Fade In / Out, Looped innovative effects, Distorted Textures, Rare sound effects, Side Chain and much more possibilities are available on Action Tremolo. With unique advanced modulation options and analog character, Action Tremolo is a multi purpose beast! Two individual Pan and Volume Controls.